January is National Train Your Dog Month. So here at Anasazi Animal Clinic in Gilbert, we thought it would be helpful to give you some tips on training your puppy. We know it can be frustrating, but it is well worth it! 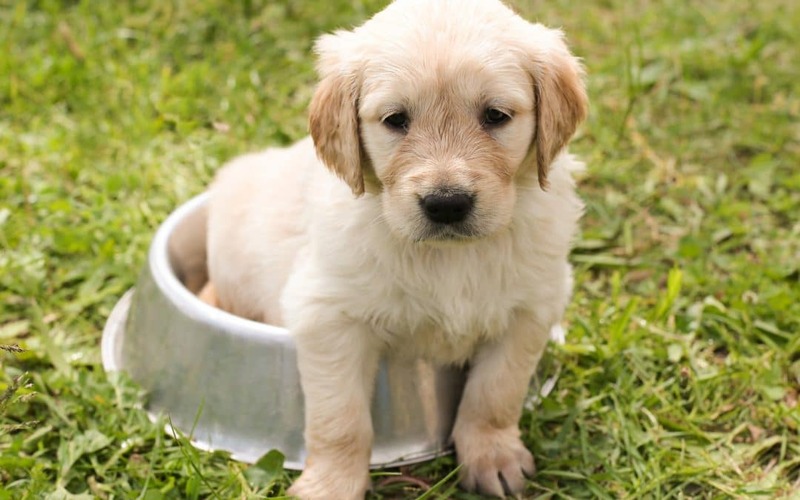 Be sure to keep your puppy confined when he is not being directly supervised. Baby gates are great for when you are home. Using a crate is recommended for when you leave the house. This will keep your puppy safe and will also help with potty training. Dogs typically will not go to the bathroom in their crate. Generally, the rule is that a puppy can be left in its crate for the number of hours that correspond to its age in months. For example, a four-month-old puppy can be left in a crate for up to four hours. Obviously, dogs cannot speak English! So it is important to learn what they are trying to communicate through their body language. Being able to predict what they are thinking or feeling will help immensely with the training process. Read this article for more information on how to read your dog’s body language. Research shows that rewarding good behavior is more effective for training dogs than punishing bad behavior. Punishment increases anxiety and causes your dog to lose trust in you. It can also lead to more aggressive behavior. Instead, use treats, pets, and play when he responds well to a command. If he is doing something he shouldn’t be, then simply redirect him to a positive behavior, and reward him for that. Bored dogs are more likely to get into trouble. It is your job to make sure your puppy is getting plenty of exercise and mental stimulation. Mental stimulation is just as tiring as physical exercise for your pup! Teaching him a new trick, making him work for his food, or giving him a puzzle game are just a few ideas. Consistency is key when it comes to training a puppy. Often, what seems like a stubborn puppy is really just a confused puppy. When giving commands, it’s important to use the same exact phrase each time. It’s also very important to make sure everyone in the household is on the same page when it comes to training, even if they aren’t responsible for your dog. Remember to go slowly, and be patient. All of your hard work will soon pay off! And if you need extra tips on training your puppy, there are classes offered in the Gilbert area. This is also a great way to socialize your pup. At Anasazi Animal Clinic, we are just as excited about your new puppy as you are! Be sure to schedule an appointment with us to discuss all of his needs as he grows.